Looking for Japanese Knotweed Removal? Japanese Knotweed is one of the hardest invasive plants to fully remove from your property. It’s fast growing ability means it can fully take control of your land if not treated early, leading to potential japanese knotweed damage to your property, a decrease in property value or costly legal battles if you have allowed knotweed to spread to a neighbouring property. Its complicated network of roots (rhizomes) make it especially difficult to remove, as most homeowners may not know how to get rid of Japanese Knotweed properly, simply removing the plant when they see it, not accounting for the roots that will lead to regrowth. Japanese Knotweed’s robust plant structure means has the ability to grow in most environments. With it’s low temperature tolerance it can quickly exploit gaps in structures such as concrete and brick. 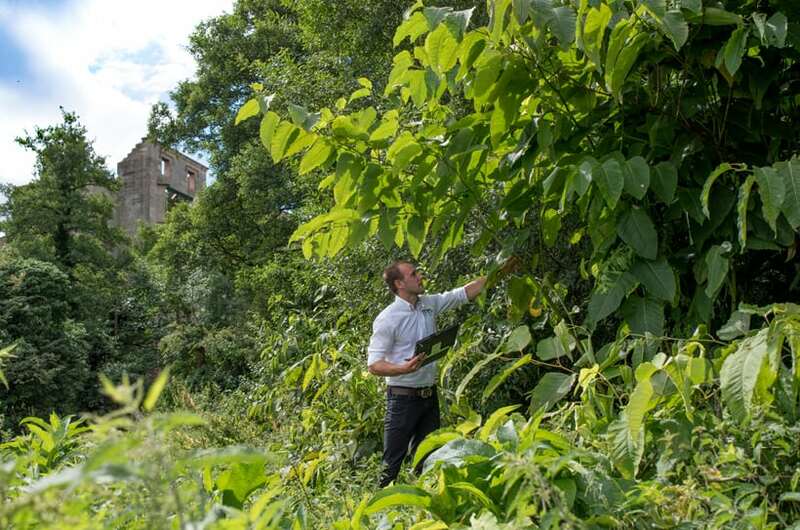 By using an experienced knotweed removal specialist, with extensive knowledge of how to get rid of Japanese Knotweed, you can control the problem. Using a knapsack sprayer herbicides are applied to the top and underside of the leaf surface. This happens twice a year; once during the early part of the growing season (April – June) and then again during late summer/autumn (July – September). TP Knotweed’s stem injection system offers excellent results when you are looking to eradicate smaller concentrations of Knotweed around your home or garden. This process involves injecting a specified dose of undiluted herbicide directly in to the stems of the plant, between the first and third ‘node’ of the stems. Timescale: On-site work depending on size of infested area (Normally 1-2 weeks), followed by 2 years monitoring. 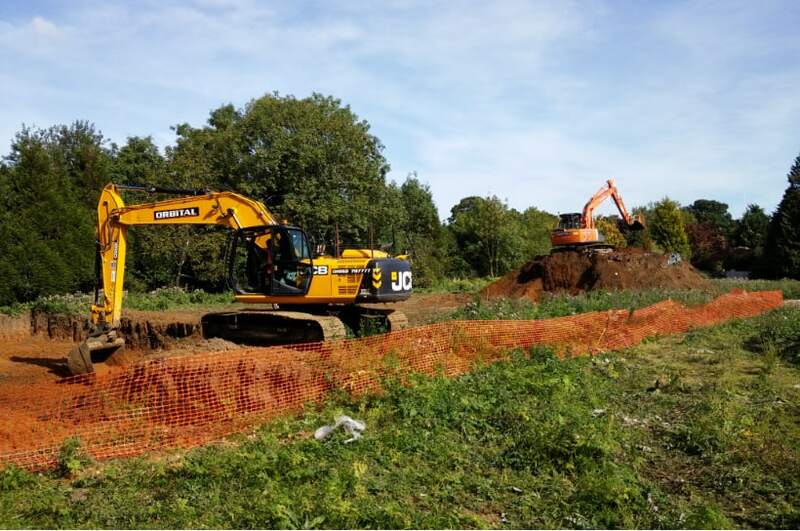 This service involves the physical excavation of Knotweed contaminated soils, ideal where the discovery of Japanese Knotweed has halted property developments, building work or landscaping. If you have plans to excavate ‘Controlled Waste’ soils and develop within the affected areas, physical excavation is the best option. It is quick and ensures you are free to use the previously affected areas with no restrictions. As soon as our team are finished on site, normally within 1-2 weeks, you can proceed with your plans. We will continue to monitor the garden or site, under the 10 year insurance backed guarantee. All work that is undertaken by TP Knotweed includes a 10 Year Insurance Backed Guarantee, which is issued as soon as remediation has been completed. Use our photo uploader to share an image of your suspected Japanese Knotweed infestation with us. We’ll instantly be able to confirm whether you have a Knotweed problem or not. It's important to have an expert visit your property to carry out a comprehensive site survey. We offer different tiers of surveys based on your requirements. Please see our surveys page for further information. Alternatively give us a call on 0800 3891911 and one of our friendly and knowledgeable experts will be able to guide you through the process. One of our Japanese Knotweed surveyors will visit your property, assess the grounds and talk you through their findings. Using the information gathered, we will be able to provide you with a detailed written quotation and recommendation of the best treatment plan within 48 hours for herbicide treatment. For excavation quotations, timing will depend on the scale of the works. Once agreed, we will begin Japanese Knotweed remediation works. Our 5 year management plans can be implemented at any point throughout the year, enabling you to move on with your life without delay! Excavation works can be carried out within 1-2 weeks making the process even quicker where required. Once the herbicide treatment period or excavation works have reached completion, your property will enter a monitoring period. During this time, our team will regularly visit your property to ensure no regrowth occurs. Following successful Japanese Knotweed remediation, we offer our 10 Year Insurance Backed Guarantee. This includes a 10 year company guarantee certificate and also a 10 year insurance policy to back our guarantee. This guarantee will cover your property against the regrowth after remediation. The insurance element will only come into effect should the contractor cease training. This means that in the highly unlikely event you encounter regrowth, simply give us a call. Are you looking to remove Japanese Knotweed for your commercial site? How can Japanese Knotweed affect your mortgage? How much does it cost to remove Japanese Knotweed? We provide a professional Japanese Knotweed removal service to commercial clients through our land services and remediation company Zirkon. 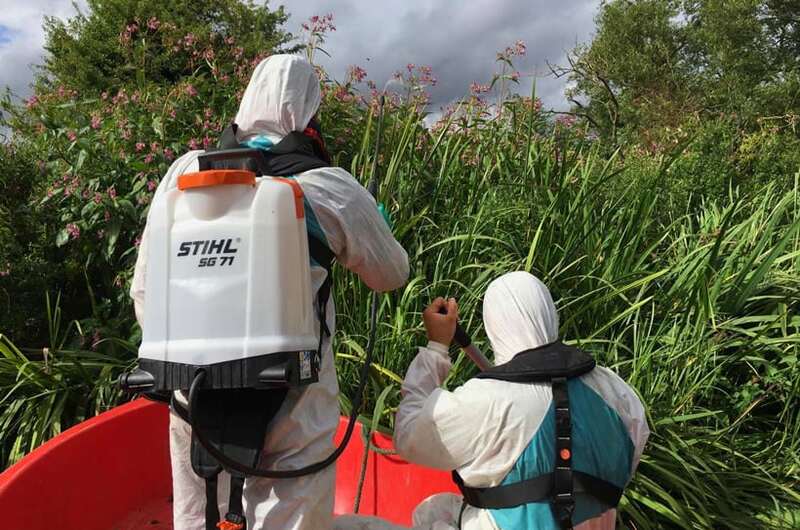 Our specialist team are highly experienced when it comes to removing Japanese Knotweed and other contaminants from development sites, to prevent delays on site. The presence of Japanese Knotweed will most likely affect the valuation of your property. In some cases, any sign of Knotweed or other invasive plant species could result in the lender declining the mortgage. This includes Giant Hogweed and Himalayan Balsam in some cases. Costs incurred by Japanese Knotweed damage can quickly outgrow remedial costs. The best way to prevent these costs is by investing in professional knotweed removal services.